Roppenheim village is close to the German border with Seltz being the nearest town. From Seltz travel South on the D468 to the village of Roppenheim. 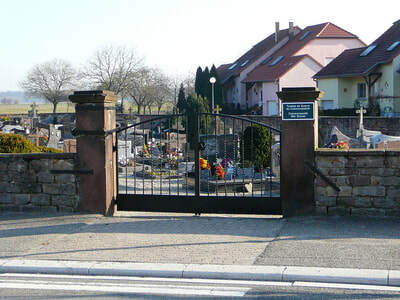 On entering the village the communal cemetery is situated on the left of the main road. The Commonwealth War Graves Plot can be found on the right side of the entrance to the Cemetery. Roppenheim Communal Cemetery contains the graves of two Commonwealth airmen of the First World War. 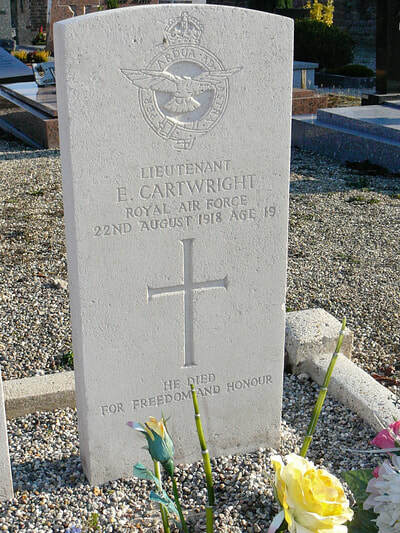 Lieutenant Edward Cartwright, Mentioned in Despatches, 104th Squadron, Royal Air Force, died 22nd August 1918, aged 19. Son of Thomas James and Ann Cartwright, of "Erlescote," Victoria Rd., Sutton Coldfield, Birmingham. 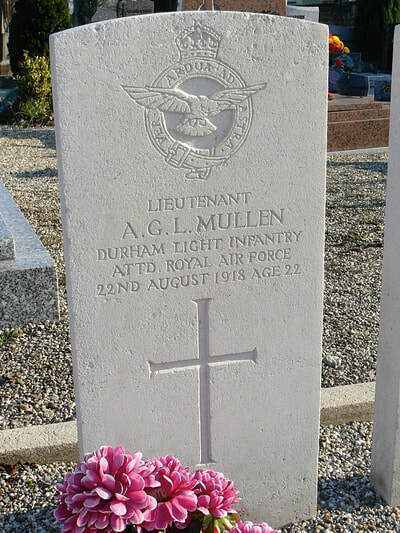 Lieutenant Arnold George Leighton Mullen, 104th Squadron, Royal Air Force and 5th Bn. Durham Light Infantry, died 22nd August 1918, aged 22. Son of Henry Joseph and Isabella Mullen. Born at Whitley Bay, Northumberland.